On behalf of my Concierge Team it is my pleasure to give you the warmest welcome to the Presidente InterContinental Santa Fe Mexico. We are committed to help you make your stay a truly memorable experience. Presidente InterContinental Santa Fe Mexico stands tall amid the newest business and shopping district in Mexico City. 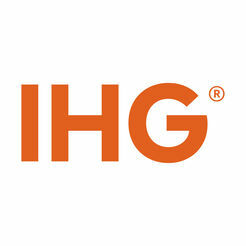 The hotel is located close to many Corporate Offices, Bancomer Santa Fe Convention Center and Santa Fe Shopping Center. Enjoy world-class accommodation and Mexico City Valley’s breathtaking views from this modern, 27-storeys tower. Please let us help with any arrangements you may need. Enjoy the sunrise over the two majestic volcanoes and the entire Valley of Mexico or do some exercise in our gym to end up relaxing in the sauna. Have breakfast on the terrace of the Au Pied de Cochon specialty restaurant. Enjoy the Santa Fe shopping center, the largest in Latin America, with its many activities and attractions, shops, movies, and cafes. Enjoy a tasty dinner in one of our gourmet center restaurants that the property offers.